The Humane Society of Bay County, Florida, has scheduled their annual Furry Friend 5K earlier each year. The race started off as a Memorial Day weekend race in 2011, but moved to late April the next year. A mid-April event followed, and then an early April date. 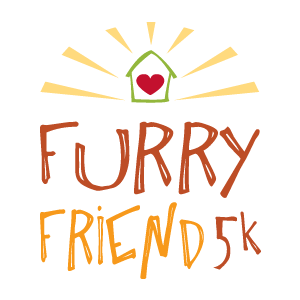 The fifth annual Furry Friend 5K was earlier still, 28 March 2015. There may be a method to this scheduling madness, though, because 162 athletes finished the 2015 race, more than in any of the four preceding years. The fastest of those 162 was Casey Lamers. Lamers had finished runner-up in the 2014 Furry Friend 5K, but this year the race was his, as he covered the 3.1-miles through Panama City Beach's Frank Brown Park in 18:16. Not quite 100 meters back, Justin Williams was second in 18:37. Zack Bragdon finished third in 19:50. The top master in the race was David Griffin, who placed seventh overall in 22:33. Danielle Mulick of Lynn Haven, Florida, took the women's title, finishing tenth overall in 23:14. Mowat Middle School cross-country runner Catherine MacLean was second in the women's standings, placing eleventh in 23:34. Right behind MacLean in twelfth overall at 23:45, Surfside Middle School distance runner Reagan Erbe was third in the women's division. Kristin Lamers was the first female master runner and fifth woman finisher, 21st overall in 26:07. 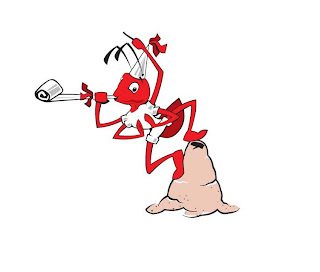 In South Georgia, the town of Ashburn holds a Fire Ant Festival 5K in March. Nearby Camilla, Georgia, hosts the Gnat Days Festival 5K each May. The region is just one event short of a nuisance insect triple crown series of races. That's something to keep in mind if you were considering celebrating Locust Days in July, or holding a Deer Fly Festival. I doubt that Enterprise, Alabama, is willing to loan its Boll Weevil Festival, but you could always ask. The series would have to open with the Fire Ant Festival 5K, though, which is alway held on the fourth Saturday in March, except when it's run on the fifth Saturday in March. In 2015 March only had four Saturdays, so the race was on 28 March 2015. Omega, Georgia, master runner Lorenzo Gomez won the 3.1-mile run in 19:35. In the 2014 race, Leesburg master runner Bruce Austin had taken the runner-up spot and Ashburn's own Mauricio Cervantes had taken third. This year their places were reversed. Cervantes, 15, grabbed second in 20:53, nearly a minute and a half faster than he had run the year before. Austin ran 21:01 to take third. Bonaire, Georgia, athlete Allison Cauthen had placed second in the women's standings in 2013 and again in 2014. In 2015 she ran her fastest Fire Ant Festival 5K time yet, a 23:27, and it was good enough to earn her the women's title. Carrollton, Georgia, master runner Leslie Miles was the second woman finisher, Miles placed tenth overall in 24:16. Janet Urbanski, 45, of Warner Robins, Georgia, took third in the women's standings, finishing eleventh overall in 24:39. The 2013 Fire Ant Festival 5K women's champion, Adrienne Worley, was fourth in the women's division this year, coming in 13th overall in 24:52. 52 athletes finished the 2015 Fire Ant Festival 5K. Results and timing were provided by RANREB Timing Services of Cordele, Georgia. 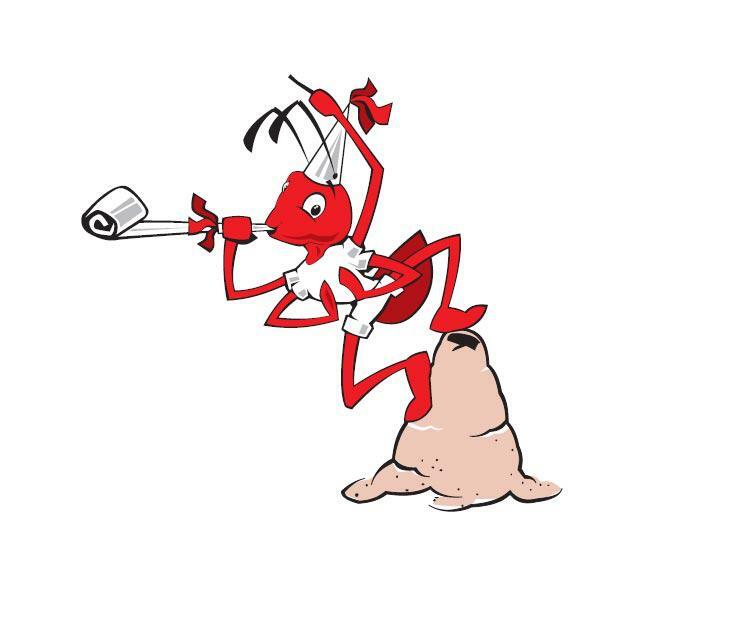 Expect the next Fire Ant Festival 5K in Ashburn on Saturday morning, 26 March 2016. The ants aren't invited, but they always show up anyway. It's not that you don't expect to see prep athletes racing on a Friday evening in the spring, but you do expect to see them competing on the track. Nevertheless, Cook High junior Nick Rosatti was racing on the streets of Adel, Georgia, on Friday evening, 27 March 2015, where he won the inaugural Glow For Alpha Rho 5K. Rosatti finished the first-year race nearly half a kilometer ahead of the next athlete, posting 18:58 for the 3.1-mile run. Cook Middle School cross-country runner Cody Pezent, 14, was also absent from the track that evening, taking second in 20:47. Norman Park, Georgia, schoolboy Case Gregory took third in 22:29. Adel's Angela Pezent was the first woman in the race as well as the fastest master runner, placing eighth overall in 26:45. The top male master runner in the race was Brad Holt of Adel; Holt was ninth overall in 27:31. 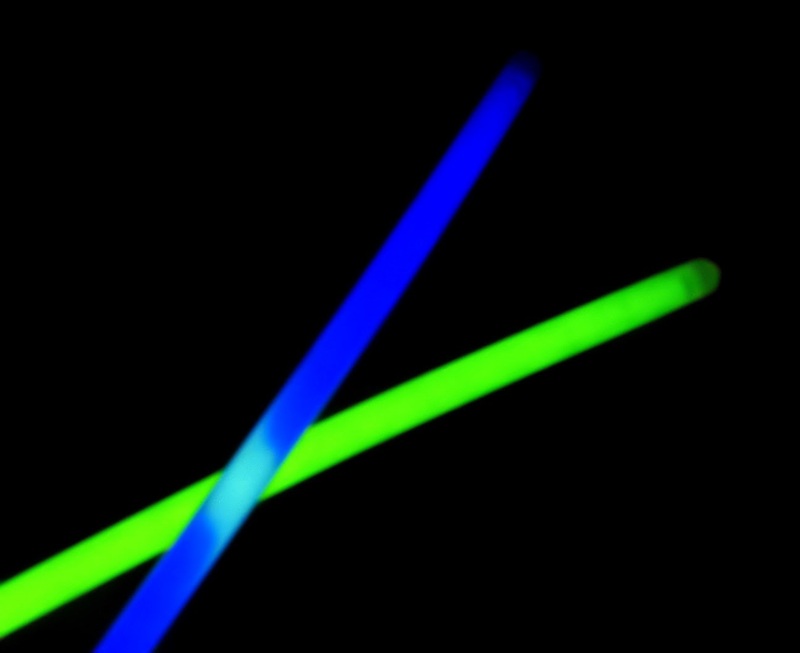 87 athletes finished the Glow For Alpha Row 5K, with another 27 completing an 800-meter fun run. The race was hosted by the Alpha Rho Chapter of Alpha Delta Kappa. Proceeds went to a scholarship fund for a 2015 graduate of Cook High School in Adel. Timing and finish line services were provided by A Course/Line, LLC, of Valdosta, Georgia. In 2015, Daylight Saving Time in the United States started on March 8, making sunset an hour later on the clock and giving the nation an extra hour of sunlight in the evening. Two weeks later, Americus, Georgia, took advantage of that extra hour by holding the fifth annual Shamrock Jog & Jam 5K at 7:30 on Saturday evening, 21 March 2015. For the third year in a row, Wright Calhoun won the 3.1-mile race. This time around the Southland Academy junior posted a winning time of 17:06, just one second off the event record that he had set the previous year. Albany, Georgia, athlete Arnoldo DeJesus finished second in 18:52. Another Albany runner, Kurt Anthony, took the top master spot in the race, placing third overall in 20:33. Americus master runner Charlene Pennymon edged Keri Bunting for the women's title, 22:54 to 22:56. Pennymon and Bunting were eleventh and twelfth overall. Southland Academy cross-country runner Ryleigh Bell, 13, was third in the women's standings, placing thirteenth overall in 23:05. 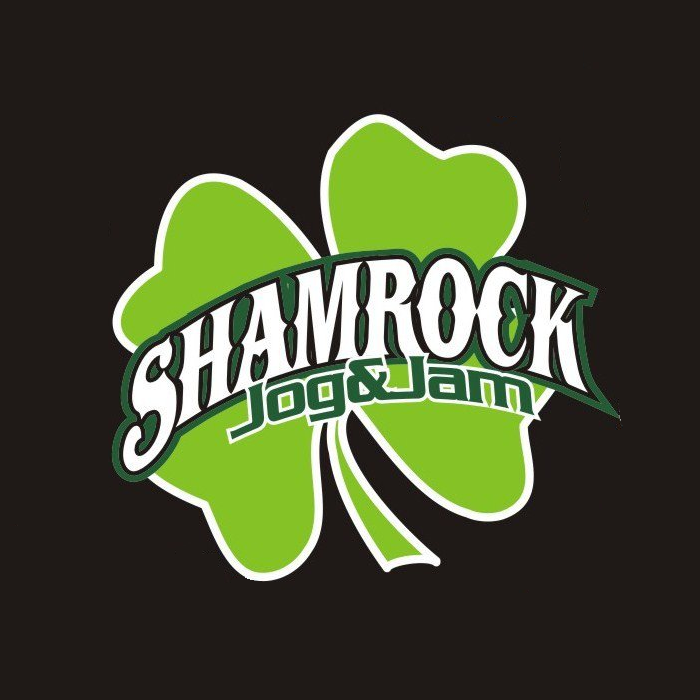 162 athletes finished the 2015 Shamrock Jog & Jam 5K. Proceeds from the event benefit the Scott Law Foundation, which provides direct financial assistance to cancer patients in Sumter County, Georgia, and the surrounding counties. There hasn't been a Tybee Marathon since 2008, seven years ago. It's always possible that the race will return from the dead, but the existence of the Savannah Rock and Roll Marathon makes in less likely that there will be another marathon in the Savannah, Georgia, area. The descendant of the Tybee Marathon, The Critz Tybee Run Fest, is a fine event, but it isn't a marathon. So lest we forget, here are the winners of the Tybee Marathon and its ancestors, the Savannah Marathon and the March Of Dimes Marathon. The race started as the March of Dimes Marathon in 1978 at Hunter Army Airfield. The race became the Savannah Marathon in 1979. Only a half marathon was held from 1988 to 1990. Dr. Cedric Stratton moved the marathon to Tybee Island in 1994, where it became the Tybee Marathon. I've taken the liberty of labeling this as winners of the Savannah Marathon, because that's how I first came to know the race. I ran the race four times from 1979 to 1982, during the period when the Savannah Striders staged the race on the two-loop course around Hunter Army Air Field. It was still the Savannah Marathon in 1991 when I drove down from Walterboro, South Carolina, to run the half marathon through the Savannah suburbs. Opinions may differ, but in my mind it will always be the Savannah Marathon. Panama City Beach Spring Break 5K Race Series #2. 8:00 AM CT. Frank Brown Park, 16200 Panama City Beach Parkway, Panama City Beach, Florida 32413. Online registration at active.com. Glow For Alpha Rho 5K and one-mile fun run. 6:00 PM ET. Cook High School Memorial Stadium, 1600 Massee Post Road, Adel, Georgia 31620. Event page on Facebook. Gulf Winds Track Club's 40th annual Springtime 10K, Publix 5K and Target 1-Miler. 7:45 AM ET one-mile / 8:10 AM ET 10K and 5K. Leon County Courthouse, 301 S Monroe St, Tallahassee, FL 32301. 2014 story. 2013 story. 2012 story. 2011 story. 2010 story. 2009 story. Event web site. Fire Ant Festival 5K and one-mile fun run. 8:00 AM ET. Turner County Special Services School, College Avenue and Gilmore Street, Ashburn, Georgia 31714. 2014 story. 2013 story. 2011 story. Festival website. Entry form and flyer. Jonathan Perry, 5krun@cisturnerconnection.org or 229-567-9320. Ropin' For A Cure 5K and one-mile fun run. 8:00 AM ET. Behind First Baptist Church Lakeland, East Church Street at North College Street, Lakeland, Georgia. Entry form and flyer. Online registration at RunSignUp.com. Kristy Music, kristybmusic@gmail.com or 229-402-0858. The Tigger Run 10K, 5K, and one-mile fun run. 8:30 AM ET one mile / 9:00 AM ET 10K and 5K. Dapady Ranch, 137 Dapady Ranch Circle, Edison, Georgia 39846. Online registration at active.com. 5th annual Furry Friend 5K and one-mile fun run. 8:00 AM CT. Frank Brown Park, 16200 Panama City Beach Parkway, Panama City Beach, Florida 32413. Online registration at active.com. 4th annual Trail Of Payne 10K Trail Run. 8:30 AM ET. Paynes Prairie Preserve State Park, 100 Savannah Boulevard, Micanopy, Florida 32667. Entry form and flyer. Online registration at active.com. Bobby at Lloyd Clarke Sports 352-372-7836. Panama City Beach Spring Break 5K Race Series #3. 8:00 AM CT. Frank Brown Park, 16200 Panama City Beach Parkway, Panama City Beach, Florida 32413. Online registration at active.com. Dothan Autism 5K Race To Solve The Puzzle. 7:30 AM CT. Kiwanis Pavillion at Westgate Park, Dothan, Alabama. Entry form and flyer. Online registration at RunSignUp.com. SHARP 5K. 8:15 AM CT. Howze Field, Fort Rucker, Alabama. Fort Rucker Physical Fitness Center, 334-255-2296. Panama City Beach Spring Break 5K Race Series #4. 8:00 AM CT. Frank Brown Park, 16200 Panama City Beach Parkway, Panama City Beach, Florida 32413. Online registration at active.com. 4th annual Run For The Nurses half-marathon, 5K, and one-mile fun run. 7:30 AM ET half marathon and 5K. 8:30 AM ET one mile. Abraham Baldwin Agricultural College Athletic Center, Perimeter Road, Tifton, Georgia. 2014 story. Event web site. Entry form and flyer. Online registration at active.com. Becky Arnold, rarnold@abac.edu or 229-391-5024. Worm Gruntin' 5K. 8:30 AM ET. Sopchoppy, Florida. Event web page. Entry form and flyer. Online registration at active.com. Susan Brooks Shearer, 850-545-6678. 4th annual James Eunice Legacy 5K. 8:00 AM ET. Valdosta State University Kappa Alpha House, 205 East Anne Street Valdosta, Georgia 31602. Entry form and flyer. Online registration at RunSignUp.com. 2nd annual Coach Post 10K, 5K, and one-mile fun run. 8:30 AM CT. St. Andrews State Park, 4607 State Park Lane, Panama City, Florida 32408. Event page on Facebook. Online registration at active.com. Barney's Run for Warriors 10K, 5K, and one-mile fun run. 8:15 AM ET one mile / 8:30 AM ET 10K and 5K. Marine Corps Logistics Base Albany, 814 Radford Boulevard, Albany, Georgia 31704. Online registration at active.com. Jackson County Habitat for Humanity and Gulf Coast Children's Advocacy Center 10K, 5K, and one-mile fun run. 8:00 AM CT. Citizens Lodge Park, 4577 Lodge Drive, Marianna, Florida. Event web page. Superhero's 5K Trail Run. 8:00 AM CT. Westgate Park Tennis Center, 401 Recreation Road, Dothan, Alabama 36303. Entry form and flyer. Breeze By The Bay 10K and 5K. 9:00 AM ET. Windmark Beach, 101 Good Morning Street, Port St. Joe, Florida 32456. Event page on Facebook. jslpsj@gmail.com or Michelle Perrin 850-899-0094. Survivors & Fallen Heroes 5K and one-mile fun run. 8:00 AM CT 5K / 9:00 AM CT one mile. Fort Rucker Physical Fitness Center, Bldg 4506 on Andrews Avenue, Fort Rucker, Alabama 36362. Entry form and flyer. Fort Rucker Physical Fitness Center, 334-255-2296. Jogging For Jesus 5K and one-mile fun run. 9:00 AM ET one mile / 9:30 AM ET 5K. Flat Creek Church, 1616 Three Notch Road, Blakely, Georgia 39823. Online registration at active.com. Flat Creek Church, 229-254-7768. Nautilus to Nucleus 5K. 9:00 AM ET. Florida State University Integration Statue, 75 North Woodward Avenue, Tallahassee, Florida. Online registration at active.com. 3rd annual Trent Taylor 5K. 10:30 AM ET. Tom Brown Park, 501 Easterwood Drive, Tallahassee, Florida 32311. Event page on Facebook. Online registration at RaceIt.com. 8th annual FSU Autism 5K and one-mile fun run. 8:30 AM ET one mile / 9:00 AM ET 5K. Northwood Centre, 1940 North Monroe Street, Tallahassee, Florida 32303. 2014 story. 2013 story. 2011 story. 2010 story. Entry form and flyer. Kim Welch, kim.welch@med.fsu.edu or 850-488-3514. 2nd annual Color-Me-Viking 5K Trail Run 8:00 AM ET. Pine Grove Middle School, 4159 River Road, Valdosta, Georgia 31605. 2014 story. Online registration at active.com. Melissa Roe melissaroe@lowndes.k12.ga.us or 229-219-3234. Minuteman 5K Trail Run. 8:00 AM CT. Westgate Park Tennis Center, 401 Recreation Road, Dothan, Alabama 36303. Event page on Facebook. Robert Kelly, robert.kelly.7@us.af.mil or 334-340-8643. 4th annual Running of the Bulldogs 5K. 9:00 AM ET. Bell High School track, 930 South Main Street, Bell, Florida. Online registration at active.com. Fools Rush In 5K. 9:00 AM CT. Freeport Regional Sports Complex, 563 Hammock Trail East, Freeport, Florida 32439. Online registration at active.com. Freeport Middle School, kfedup@hotmail.com or 850-835-2838. National Mayhaw Festival 5K. 8:00 AM ET. Colquitt-Miller County Chamber of Commerce, 302 East College Street, Colquitt, Georgia 39837. Entry form and flyer. Online registration at active.com. Soaring Eagle 5K and 1K. 9:00 AM CT. St. John Catholic School, 1005 Fortune Avenue, Panama City, Florida 32401. Online registration at active.com. 3rd annual Hogtown 5K Beer Run cross-country race. 9:00 AM ET. Haile Plantation, Gainesville, Florida. Event page on Facebook. 2nd annual Book It 5K. 9:00 AM ET. Florida State University Integration Statue, 75 North Woodward Avenue, Tallahassee, Florida. Event page on Facebook. Online registration at EventBrite.com. 37th annual Rose City Run 10K and one-mile kids' run. 8:00 AM ET 10K / 9:30 AM ET one mile. North Broad Street and Monroe Street, Thomasville, Georgia 31792. USATF certified course GA12003WC (10K). 2014 story. 2013 story. 2012 story. 2011 story. 2010 story. Event page on Facebook. Event web page. Entry form and flyer. rcr@ymcathomasville.org or 229-226-9878. 2nd annual Meridian Run 10K, 5K, and one-mile fun run. 8:00 AM ET one mile / 8:30 AM ET 10K and 5K. North Florida Christian School, 3000 North Meridian Road, Tallahassee, Florida 32312. Event website. Road Kill 5K. 8:00 AM ET. Reed Bingham State Park, 542 Reed Bingham Road, Adel, Georgia 31620. 2014 story. 2013 story. 2012 story. USATF certified course GA11076WC. Event web page. Run For Your Life's Founder's Day 5K. 8:00 AM ET. The Toasted Mug, 105 East Ellis Street, Perry, Florida 32347. Entry form and flyer. Online registration at RaceIt.com. 3rd annual Run Around The Lakes 5K and one-mile fun run. 8:00 AM ET one mile / 8:30 AM ET 5K. Deer Lake United Methodist Church, 8013 Deerlake Road South, Bradfordville, Florida 32312. 2014 story. 2013 story. USATF certified course FL13043EBM (5K). Betsy Phipps, missions@deerlakeumc.org or 850-445-5408.